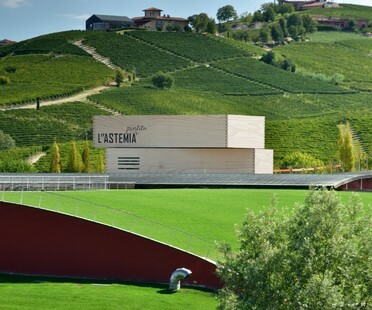 Irony is the key to interpretation of the design of L'Astemia Pentita (“The Penitent Teetotaller”), a winery designed by architect Gianni Arnaudo amidst the hills of the Barolo district, where some of Italy’s best-known top-quality wines are made. The architects from goCStudio completed the expansion of COR Cellars winery in Lyle, Washington in a designated National Scenic Area. 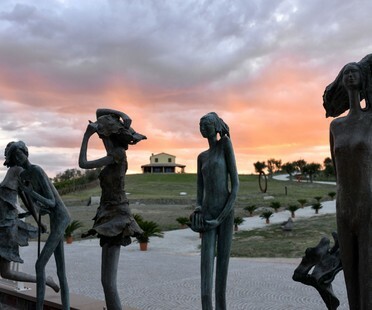 Without a doubt, Château La Coste cannot be missed if you are a lover of art, nature, fine wine and stunning architecture. The pavilion, designed by Renzo Piano, is just the latest addition to enrich this property in Provence. The house designed by Mole Architects, on a hill overlooking Poole bay, resembles a floating home. The Podernuovo Winery in Palazzone, designed by the Alvisi Kirimoto studio in San Casciano dei Bagni - Siena, has recently received two important awards: the special Fassa Bortolo award and the Tuscany Architecture Prize. October 2017 will see the opening of FICO, the large agri-food park currently being built in Bologna, which will contain all the beauty of Italian bio-diversity. 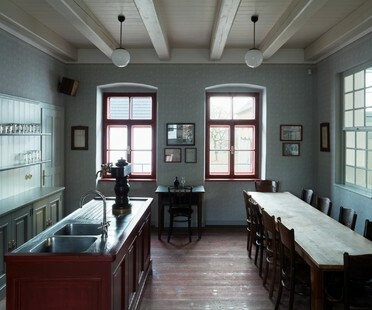 In the village of Javornice, in southern Bohemia, is a distillery designed by Czech architects ADR in a converted 19th century farmhouse. But the building is used to do more than distil fruit. 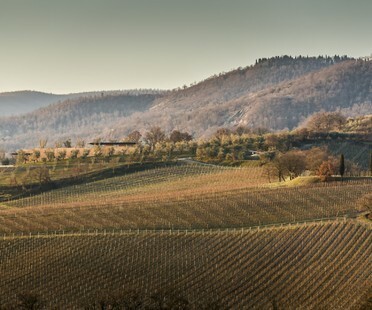 Tenuta Mara, home to the biodynamic winemaker of the same name in San Clemente di Rimini, combines biodynamic agriculture with art and architecture to produce Italy’s best biodynamic wine, according to Luca Maroni’s guidebook.